Today I celebrated a Birthday, but more importantly the feast day of Saint Elizabeth Ann Seton. It is also the Feast of Epiphany. Year in and year out, I am blessed to ruminate readings in the liturgy, rich in tradition and teaching on my Birthday. The Gospel details the story of the the Magi, guided by a star, coming to a humble manger to bow down before the baby Jesus and bring Him three gifts suitable for a king. My beautiful mother who gave birth to seven girls and one boy is photographed (above) years ago inside Saint Patrick’s Cathedral in New York. 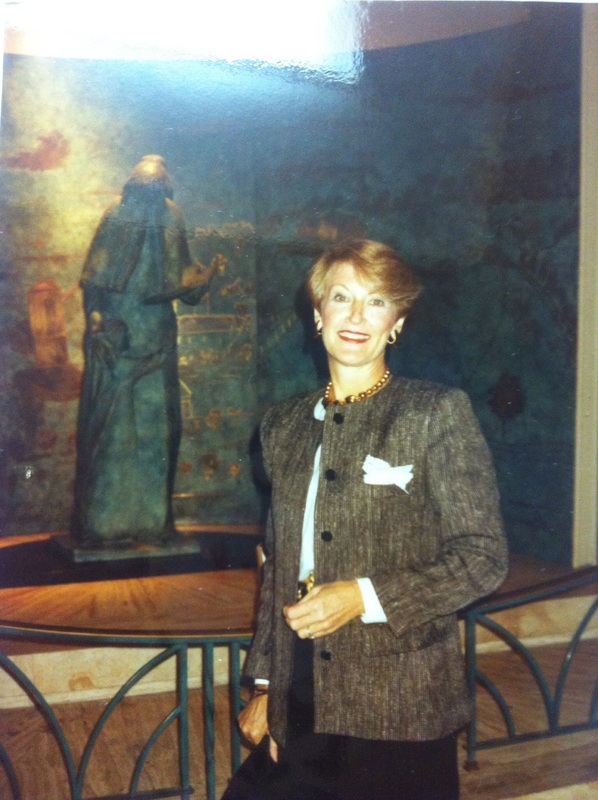 Behind her is the modern day bronze sculpture of Saint Elizabeth Ann Seton. It is a side altar with candles that was given to Saint Patrick’s Cathedral by her father after her mother was Baptized and brought into the Catholic Church by Archbishop Fulton Sheen. The beauty for my mother as a college student at the time who was raised Catholic, was that she would be the God-mother to her very own mother. Many years later as providence would have it, I took my grandmothers name as my Confirmation name. Maybe that is why the Holy Spirit interceeded with the crucifix of my grandmothers holy rosary that was blessed by Archbishop Fulton Sheen be given to me, that I wear today. Why is this even important? It is important because we are all called to be Saints. In fact, we are saints in the making. The Communion of Saints is one of the most comforting teachings of our Church. We have waiting for us on the other side, people who have fought the good fight and are now interceding for us to God. Praying to the saints is a way to enter into a deeper relationship with Our Lord Jesus Christ. When we pray through the intercession of the saints we better understand human sin and weakness. Most of the saints are remembered for some outstanding virtue or devotion which they practiced yet none went through the perils unscathed by sin. Saint Elizabeth Ann Seton was from New Rochelle, New York; so was my dad. Saint Elizabeth Ann Seton was a wife and mother; like my mom, my sisters, myself and countless others. Saint Elizabeth Ann Seton was the First American Saint. The Saint Elizabeth Ann Seton National shrine in Emmitsburg, Maryland at Mount Saint Mary’s is where my dad went to school and where my parents often prayed before becoming engaged to be married. Today, I am feeling truly blessed to celebrate another Birthday. As I looked into the sacred eyes of three very precious gifts on this very special feast day, I found my husband, Eric and our teenage son, Grant and our daughter, Shannon in our humble manger. I need not one more gift. That is why it is so important to have pictures, holy cards, and icons of the saints. After all, they are our family portraits. Family portraits are holy and sacred. They tell a story without words. What does your story look like? The challenge is finding the holy and sacred in your story but when you do, you will be so completely overwhelmed with the most indescribable gift of His love. Scripture says, “Every good and perfect gift is from above” (James 1:17).